Oceania Expository Ministries exists to aid the local church. 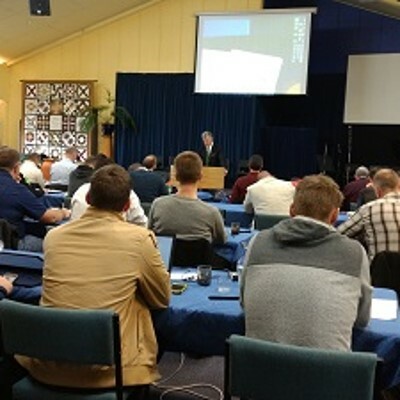 Every pastor and leadership team faces challenges in leading the ministry entrusted to them. Sometimes the need is like-minded fellowship, sometimes it is help in training up the saints or in equipping leaders. There are also opportunities for conferences, church planting, or even missions, which are always a challenge. Oceania Expository Ministries serves the churches of Oceania by helping with what local churches need. OEM is committed to sound theology, expository preaching, and relevant ministry. We are a group of pastors and leaders who desire to help one another do those things, which individually are a big ask. But, through collective wisdom and abilities, we can advance God’s work all the more.